I do a lot of traveling back and forth between my home and my studio and that means I am always lugging a bunch of supplies with me! 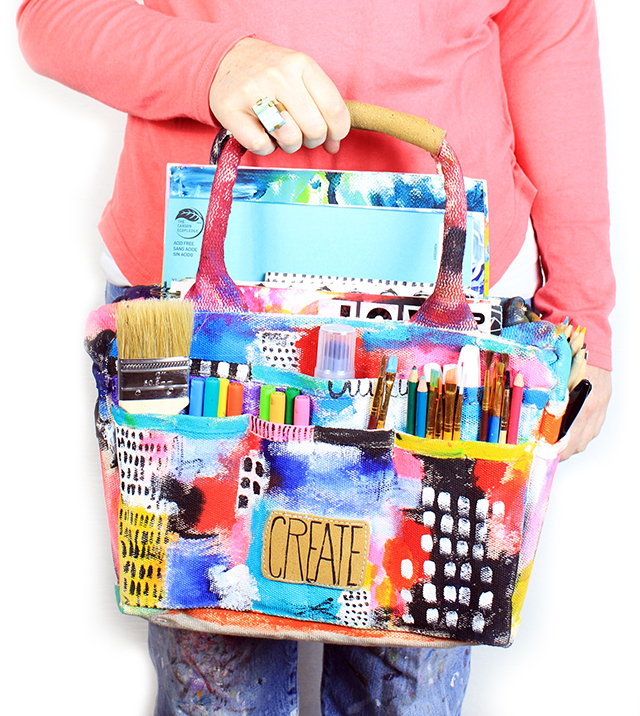 Recently I found THIS canvas supply tote (this post is not sponsored) and I thought it would be perfect for transporting supplies. 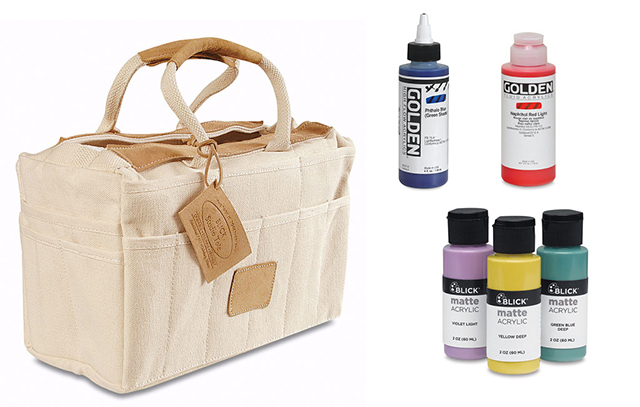 The tote is heavy duty canvas and has 8 large pockets and 16 small ones and is designed to stay open when you set it down- perfect for a variety of random supplies. 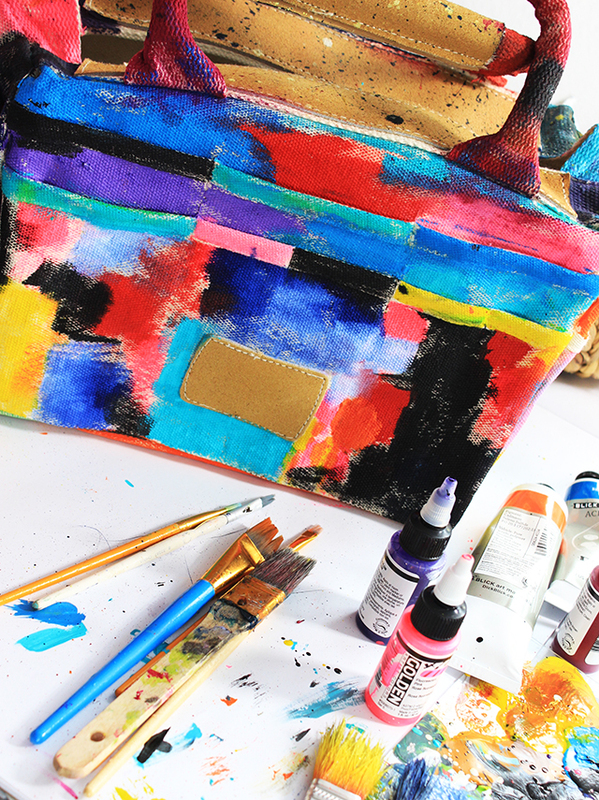 There was no way I could leave this tote plain so of course I used acrylic paint and added messy layers of color to it. I used a combination of Golden Fluid Acrylics, High Flow Acrylics and Blick Matte Acrylics. 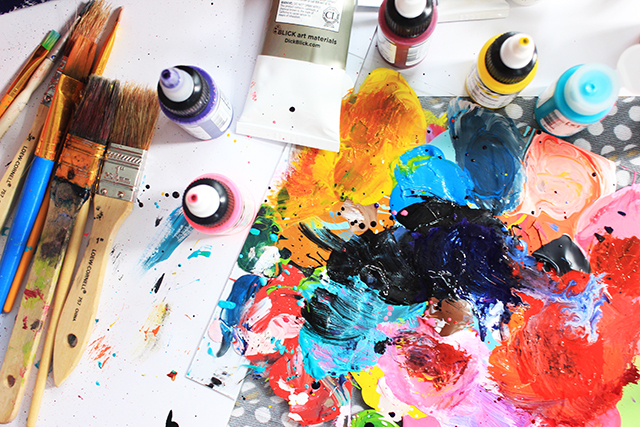 TIP: I've found when I am painting on heavy duty canvas, I prefer to use fluid acrylics because them seem to spread and soak into that heavy canvas better. 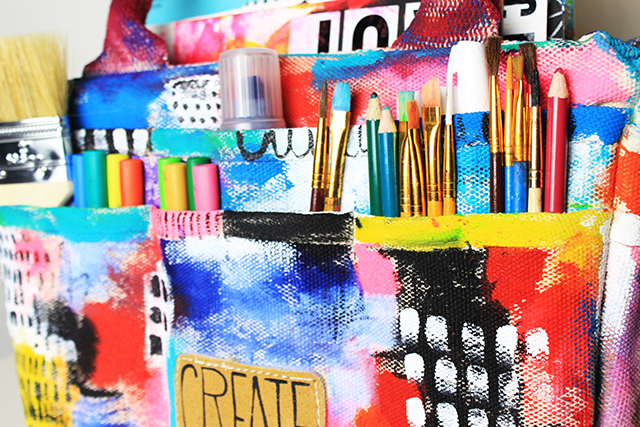 I gave the tote a quick layer of messy color and a few simple details and just like that it was transformed into something that felt a little more like me! 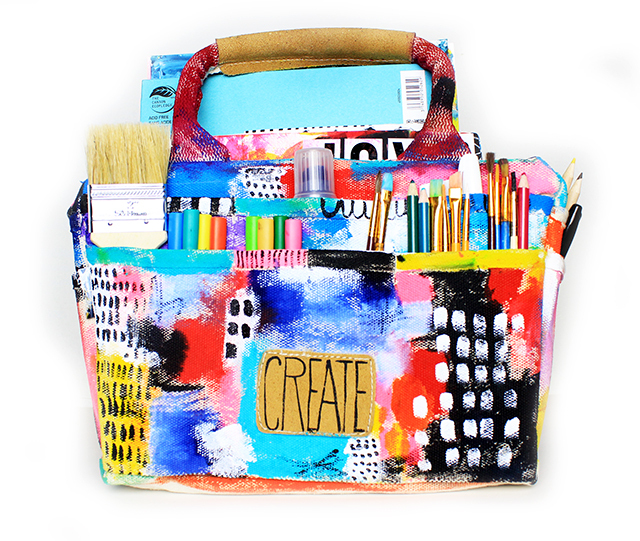 that's fabulous and a great way to get art supplies from A to B and back again! Such a fun bag. So colorful! Just your style. Thank you for the inspiration. Always so great to see what you are up to Alisa! Aww I really love this! 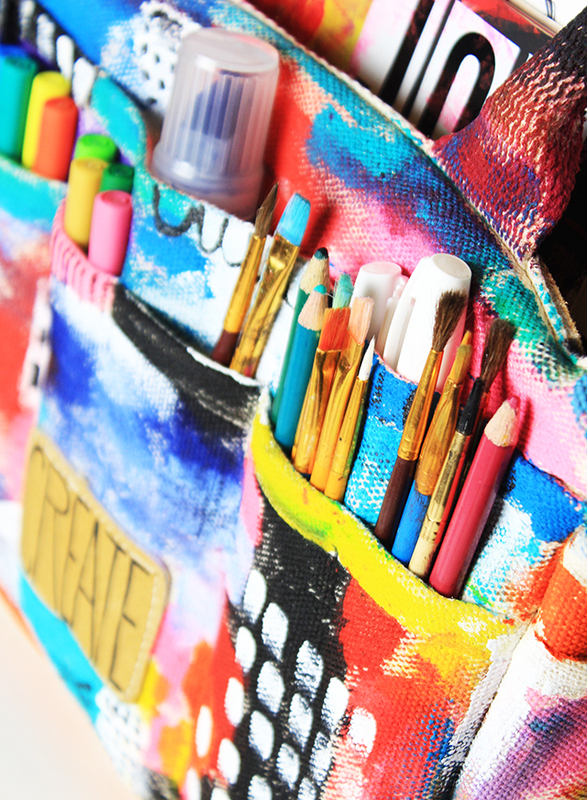 Would love to do something similar as a diaper bag for my girls that could transition into an art bag when I'm done with it. 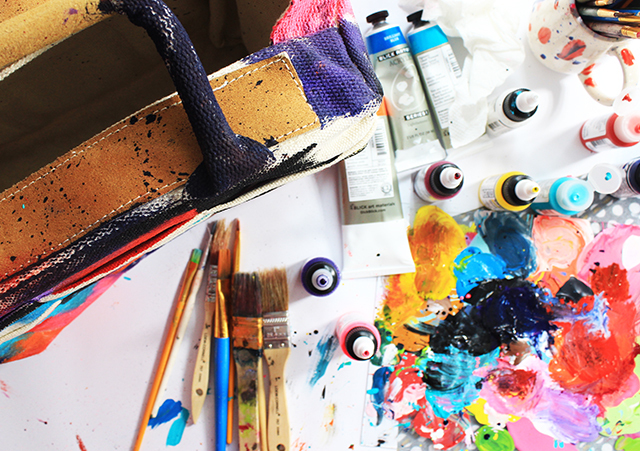 As always, thanks for the colorful inspiration! 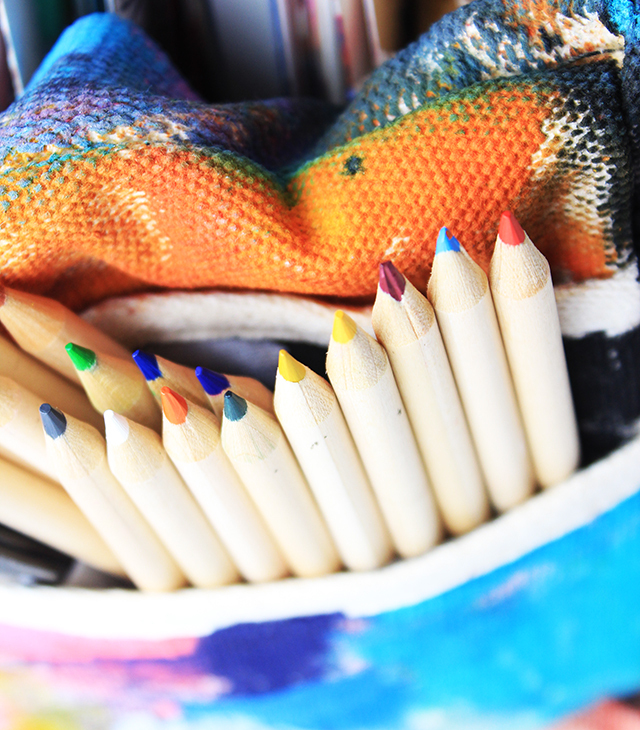 Thank you for colouring the world! What a great idea!!! You've given me an idea for the bags we have in Australia for shopping (https://www.google.com.au/search?q=green+bags&tbm=isch&tbo=u&source=univ&sa=X&ved=0ahUKEwj4oqiVuO7KAhXiF6YKHU1PBEQQsAQIPg&biw=1556&bih=1020#imgrc=UUpxiog2H7y2SM%3A). I tend to use one of them for lugging my paints etc around because of the flat bottom and strong handles. I can paint some of them ... Even for my shopping trips! Are these paints permanent on fabric?